These four paint easy removal methods prove successful in any DIY situation, leaving your plastic pristine. 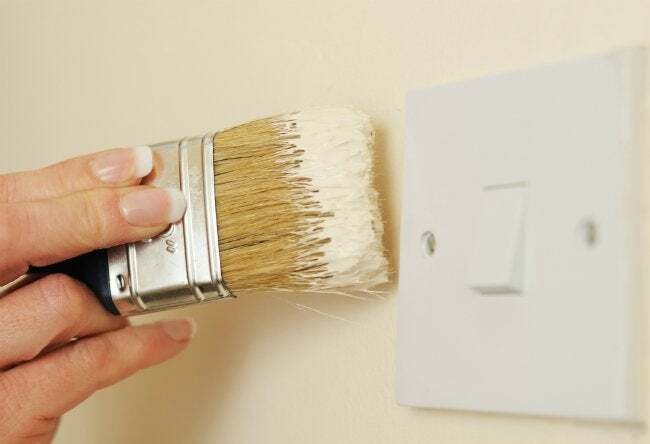 Nothing spoils the satisfaction of a paint job like drips and splatters on plastic surfaces, such as light switch covers, handles on uncovered appliances, step stools, and outdoor furniture. Hey, accidents happen—even to the most conscientious DIYers—so don’t despair. While it may take a bit more effort than a simple swipe to remove paint from plastic, especially if the paint has dried, the techniques below have proven to banish evidence of this common home improvement slip-up. OPTION 1: Wash it off. It’s always best to address painting mishaps as soon as they occur. So if you spot a fresh spill, fill a bucket with warm water and dish soap, grab a clean rag or paper towels, and wash it off. Once the paint is gone, hose down the item or use a clean, damp rag to rinse. OPTION 2: Rub it off. If soap and water are ineffective, chances are the paint has begun to dry. Now it’s time to hit the pantry for some vegetable oil—a benign, typically skin-safe substance that can help soften and lift paint. 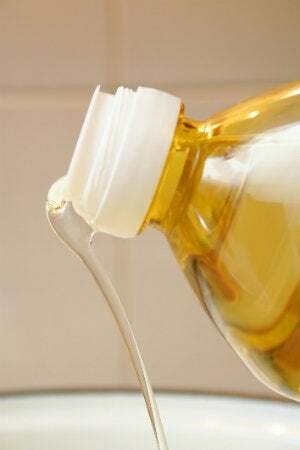 Put some oil on a clean rag and rub the spill, using a bit of elbow grease. Once the paint begins to “give,” employ a paint scraper and proceed to Option 3. If vegetable oil fails, don a pair of work gloves and try nail polish remover containing acetone. Pour on enough to cover the affected area, then rub and wipe with a clean rag or paper towels, repeating as necessary until paint is gone. OPTION 3: Scrape it off. Your weapon of choice for unwanted dried paint on a flat plastic surface is a paint scraper. Starting at any corner or edge of the spill, apply the scraper as if sliding it underneath to gently “lift” off the splotch. Be patient and maintain constant, steady pressure; attack it too vigorously and you could mar the plastic. On a contoured plastic surface like a chair, use a razor blade in the manner described above. Just keep the blade at an angle to avoid damaging the piece, and remember safety at all times. OPTION 4: Scrub it off. For truly stubborn paint spills on plastic, turn to isopropyl alcohol (rubbing alcohol), which you can buy pretty much anywhere, including Amazon. Rubbing alcohol helps remove paint without melting the plastic, unlike harsh paint thinners. Nonetheless, be sure to wear a face mask to guard against inhaling fumes, and wear work gloves to protect your skin. Following the printed instructions for safe use, pour the alcohol over the unwanted paint and scrub firmly with a rag. You may need to be persistent until paint begins to disappear. Just keep at it and your patience will be rewarded with a clean, paint-free surface. No one will ever know you had a painting casualty!